The travel tips in Bhutan introduce a tourist to have a safe, comfortable and an easy travelling experience in the colourfully exotic country. Though isolated and remote, Bhutan is an easy place to travel. All you have to do is to take a series of steps and ideas to make sure travel is indeed smooth. The country follows high value, low impact travel policy. There is no restriction on the number of visitors visiting Bhutan. As a part of this policy, tourists should respect the unique Bhutanese culture and its people. In return, the tourists will be enriched with an unforgettable experience of a kind in this colourfully vibrant country. 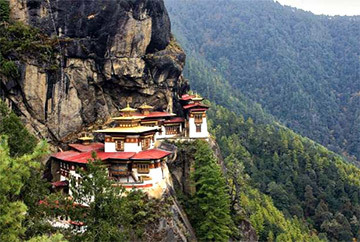 The bookings need to be arranged with the help of an officially approved tour operator in Bhutan. This is done for a smooth travel experience and also to escape the paper-work hassles in the country. Prearranged VISA is necessary for travellers except Indians, Bangladeshi nationals and also from Maldives. A traveller needs to pay in advance a set amount ($250*) for a day's travelling expenses per person. The daily tariff covers 3-star accommodation, all meals, a licensed Bhutanese Tour Guide for the extent of the stay, internal transport excluding internal flights and camping equipment and haulage for trekking tours. Bhutan has the only international airport in Paro near Thimphu, the country’s capital. This airport has connectivity from (Delhi, Guwahati, Kolkata, Bagdogra, Bodhgaya, Mumbai (India), Dhaka (Bangladesh), Kathmandu (Nepal), Bangkok (Thailand) and Singapore. One must travel to Bhutan with travel insurance. 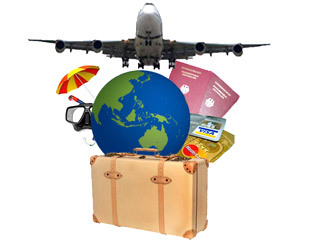 Travel insurance can be provided by Destinations Beyond India as well. Money Ngultrum is the currency of Bhutan, at par with Indian Rupees. But the denominations of Rs. 500 and Rs. 1,000 are not accepted in Bhutan. Money can be withdrawn from the ATMs as well. Visa or MasterCard debit cards can be used in any part of the country. Pack your kits with appropriate warm clothes and comfortable hiking boots (well broken in) preferably with ankle support and weather-proof to complement the weather in Bhutan. Other things to pack in bag are pair of sunglasses, sunscreen lotion, hat, umbrella, camera, spare camera batteries, flash light (with spare batteries), antiseptic cream, medicines for travel sickness, diarrhoea, altitude sickness etc and insect repellent. Bhutan has loads of photography opportunities. Plenty of opportunities of capturing serene landscapes and panoramic views of the mountain ranges, rural life, rivers, etc are there. But don’t click shots of Dzongs, temples, monasteries and religious institutions as photograph/filming is not permitted. Dzongkha is the national language and one of the most widely spoken languages in Bhutan. Same is the case with English, a widely spoken language. Guide service can also ease out the communication in remote villages. Visitors must dress modestly and respectfully especially during a visit to the monasteries, Dzongs and other religious institutions. Ideally, long pants and long sleeved tops should be worn when visiting such places. As a mark of respect, be kind enough to remove hats and caps etc. Before embarking on a trip to Bhutan, get proper vaccinations, medication and prescription from a doctor if any prior to travel. As a minimum, one should have tetanus, typhoid and hepatitis A inoculations before taking Bhutan Trip. Bhutan is one of the safest countries in the world. But a traveller must still exercise caution when visiting. Keep the belongings especially passports, cameras, wallets and purses safely and also the copies of important documents. Don’t leave the belongings locked in vehicles while sightseeing. Also, avoid drinking tap water or ice cubes in drinks at all times. Carry bottled water during sightseeing.